Two years on from Fantastic Beasts and Where To Find Them, the Harry Potter prequel-of-sorts returns with its second chapter. Again scripted by Potter creator JK Rowling and directed by David Yates, now on his sixth movie set in the author's wizard world, Fantastic Beasts: The Crimes of Grindelwald is an impressive step up. This is a bold blockbuster that deepens characters and relationships and expands Rowling's politically-charged universe. Set in 1927, Eddie Redmayne's Newt Scamander is back in London after the events of the first movie, banned from international travel by order of the Ministry of Magic. Meanwhile defeated Dark Wizard Gellert Grindelwald (Johnny Depp) has escaped and headed to Paris, where he hopes to lure the disturbed-but-powerful Credence (Ezra Miller) to his side as he gathers an army of followers to rule over all non-magical beings. 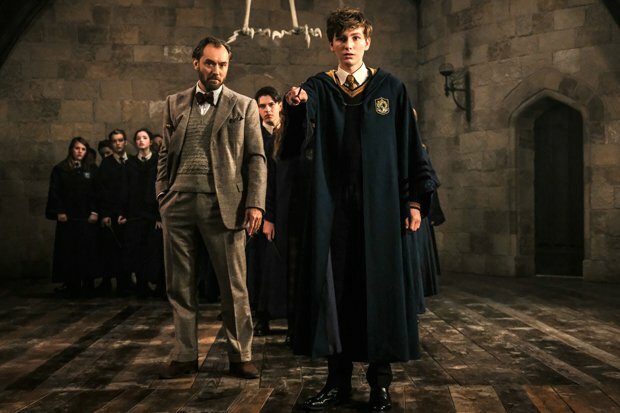 Sending Newt after Credence is none other than Hogwarts professor Albus Dumbledore (Jude Law), a former friend of Grindelwald who recognises the dangers that are afoot. Fans of the Potter movies will clearly get a kick out of seeing Law playing a much-younger version of the character made famous by Richard Harris and Michael Gambon; likewise, the return to Hogwarts for a couple of scenes, with shots of the Great Hall and a flourish of John Williams' score, will induce chills. With Newt accompanied by his friends from the first movie – sisters Queenie (Alison) and Tina (Katherine Waterston) and no-maj Jacob (Dan Fogel) – he also has his brother Theseus (Callum Turner) and the sibling's fiancé Leta Lestrange (Zoë Kravitz) to contend with. While Rowling's script neatly recalls real-world events (not least Trump's own travel ban), the film really flies in the final act, with Depp's sinister Grindelwald causing mayhem and familial revelations coming thick and fast. A real beast of a movie.